As part of my Tesco meal deal there are many choices, most of them are fizzy sugar water. 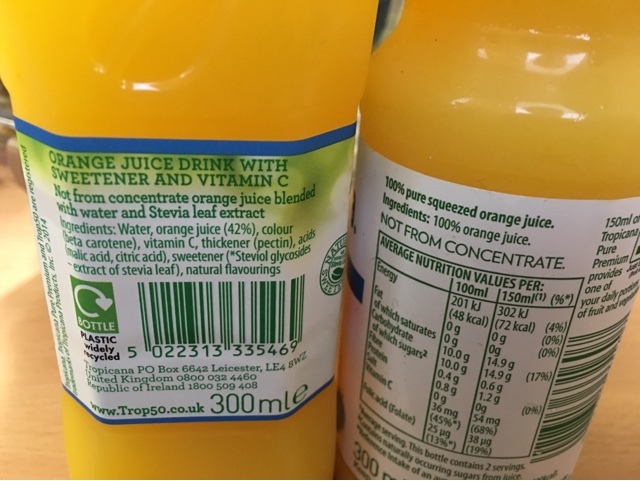 I tend to go for the fruit juices as they at least contain a little more nutrition with the naturally occurring sugar. Here we see a diet version of orange juice. A noble idea, let's see what it's like. 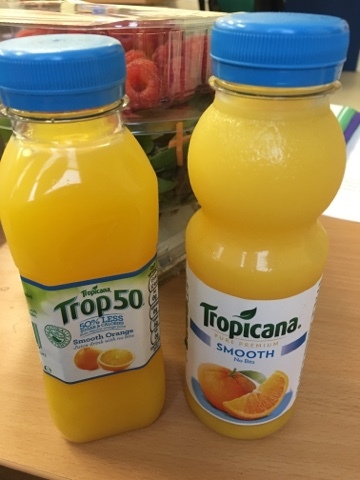 Trop50 has half of the sugar of the normal Tropicana. 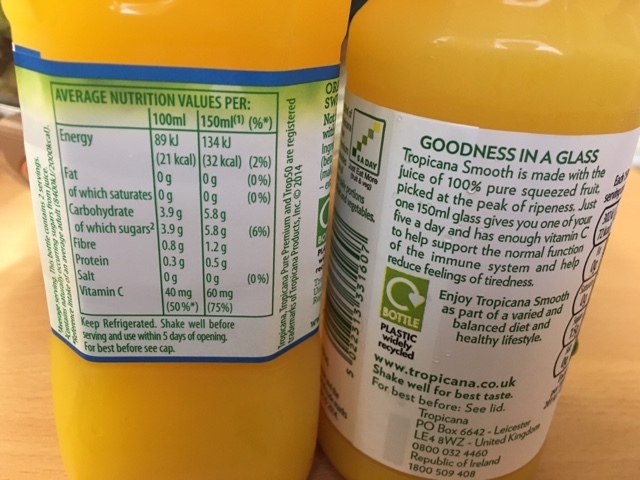 The new juice has 32 kcal which is half. The real question is are we losing half of the nutrients by losing more than half of the juice? We know from Fuhrman that nutrients per calorie is the key and I'm not entirely sure this holds up reliably. Surely having the juice with the orange bits in it is even better than either of these too! Diet food confuses me. How does it taste though? Not so bad - and very similar to the fortified euro orange drinks that Aldi and Lidl have. It's less sharp than the comparative smooth Tropicana, but it's quite nice in its own way. I'd rather have the maximum bits, maximum sharpness and a much larger portion. That said - 15g of sugar in 150ml is two teaspoons which is quite a lot and more than I'd put in the same amount of tea! Maybe the sugary drinks tax people have a point. Overall, probably not a diet solution, but a decent alternative flavour.